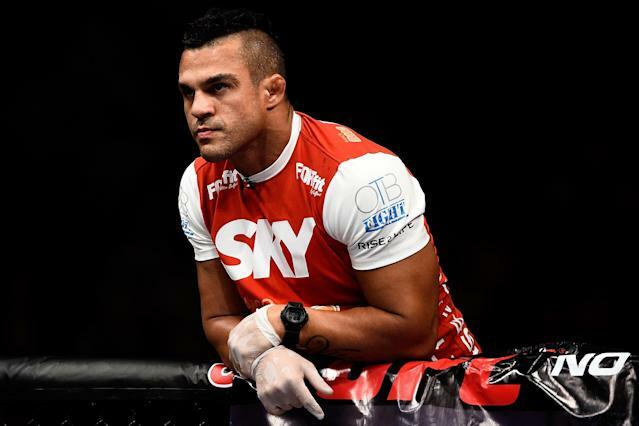 When Vitor Belfort was granted a license to fight by the Nevada Athletic Commission on July 23 at a hearing in Las Vegas, commissioner Anthony Marnell told Belfort that he'd be subject to random drug tests from the commission until the day he retired. On Saturday, the first of those tests occurred. Executive director Bob Bennett confirmed to Yahoo Sports that a collector representing the Nevada commission took both blood and urine samples from Belfort in Florida, where Belfort is living while preparing for a Feb. 28 middleweight title match against Chris Weidman. The results of Saturday's test will not be known for approximately two weeks, Bennett said. Bennett said Belfort was cooperative and posed no objection to being tested. In May, a collector for Nevada attempted to test Wanderlei Silva, but he objected to the testing and fled the country. That led to him being given a lifetime ban. It appeared that Belfort would be able to escape the Nevada testing when the UFC moved his bout out of Nevada and put it on Feb. 28 at the Staples Center in Los Angeles as the main event of UFC 184. But Bennett told Yahoo Sports he had always planned to have Belfort tested per the agreement reached at the July 23 hearing. Bennett said that shortly after the UFC announced Weidman-Belfort would be in Los Angeles, he contacted Andy Foster, the executive officer of the California State Athletic Commission, to confirm with Foster that Nevada would still randomly test Belfort. When he was licensed by Nevada in July, it was to fight Weidman in the main event of UFC 181 on Dec. 6 at Mandalay Bay in Las Vegas. But Weidman broke a hand in training and the fight was postponed. The UFC announced on Wednesday that the rescheduled bout would be in Los Angeles.